The Servo Buddy is THE solution to the common problem of what to do about the factory exhaust valve and servo motor system. Completely eliminating the motor, valve, cables, etc and it not only drops weight and frees up valuable space, but utilizing the Servo Buddy improves reliability by eliminating the common issue of the factory servo motor gears stripping out, FI light coming on or the motor burning up. 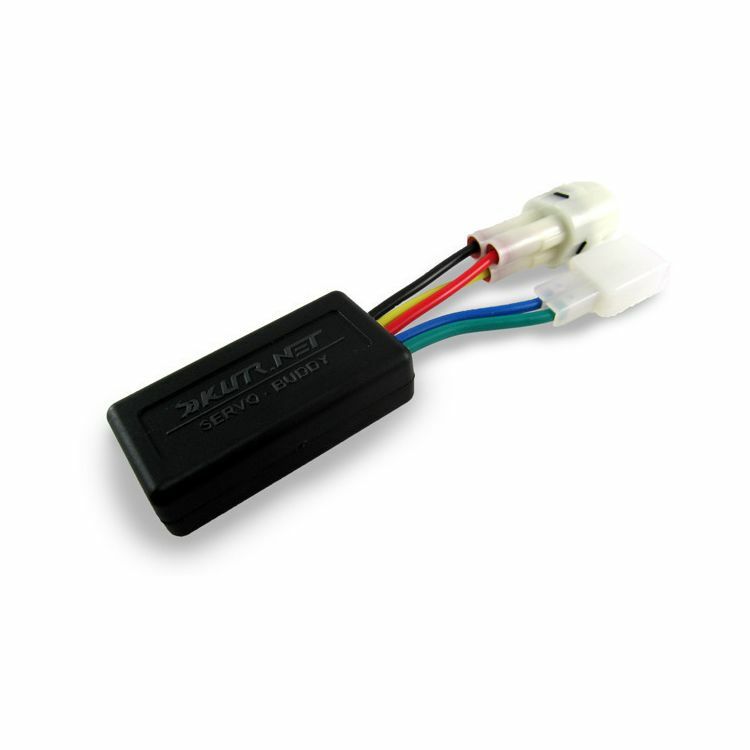 The Servo Buddy is a must-have when switching to an aftermarket exhaust, and even works great with the factory system. I called revzilla and asked if my yoshi r77d for my 2014 gsxr 1000 came with the servo block that I read about and they told me no that I need to buy this well fortunately I called yoshi r&d and sure enough all the newer exhaust came with it. It was really disappointing that a company doesn't know their own products that they sell..
Not needed for newer models. Check around before buying. On the 2014 1199 this part simply isn't needed. Unplugging the servo will not result in a CEL. A little unscrupulous to sell this to people under the guise that its needed. Does exhaust manufacturers provide us with servo buddy or we have to buy it ? I have a 2005 Kawasaki ninja 636 and my FI light doesn't come on until like 40 minutes of riding...then the bike just shuts off. Idk If need a servo buddy or a new ecu. Help...what should I do? Hi, is this product only applicable for the 675R? or will it still work on the other 675 models?